A witch hunter is exactly what it sounds like; a member of a special force for the king who hunts and captures witches, wizards, demons, and the like. Elizabeth Grey is the only female witch hunter and one of, if not the, best. At sixteen and already having served for a few years, she is found with a pouch of herbs on her and accused of being a witch. She is jailed and awaiting her fate (a public burning) when she is rescued by the very wizard leading the reform against the ban of magic, Nicholas Perevil. The force driving much of this novel is Elizabeth trying to decide which side is right and which side she wants to be a part of. I had a few issues with this book but first it is important to know that I couldn’t put it down. When I had to put it down (work. food. ugh. ), I couldn’t stop thinking about it. Thankfully it only took me a few days to read so it didn’t interfere with life too much. I read a lot of YA books but this one seemed to have a noticeable amount of simplified material. A lot of telling a not showing, as if the author didn’t trust her readers to pick up foreshadowing and hints throughout the book. Also, when we would get a glimpse into Elizabeth’s thoughts and feelings, those would be overly stated, the one sentence too much making me feel like it was being repetitive and obvious. The other thing I would have liked to see in The Witch Hunter is more world building. This book is supposed to take place in the year 1558 but honestly there isn’t much to suggest or even support that. The dialogue could easily be taking place in present day, the characters all act and react as they would today, and the lack of technology is made up with magic. With what little mention there is of the world itself, this could have been set in some sort of alternate universe and saved the criticism. I would have liked to have seen more nerdy middle age/renaissance happenings though. World building aside, the story itself is fun and unique. I like the movement of thinking one side is the good/bad guy then being persuaded otherwise. 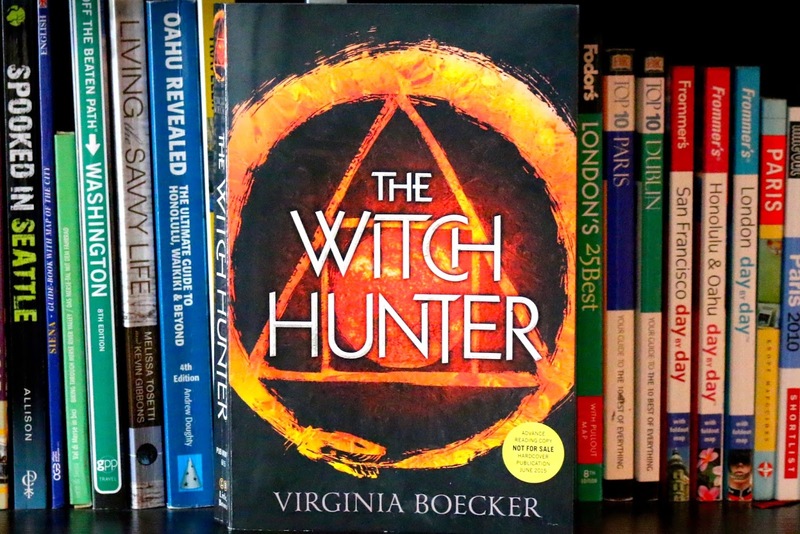 I was given an advanced copy of The Witch Hunter by NOVL in exchange for an honest review.